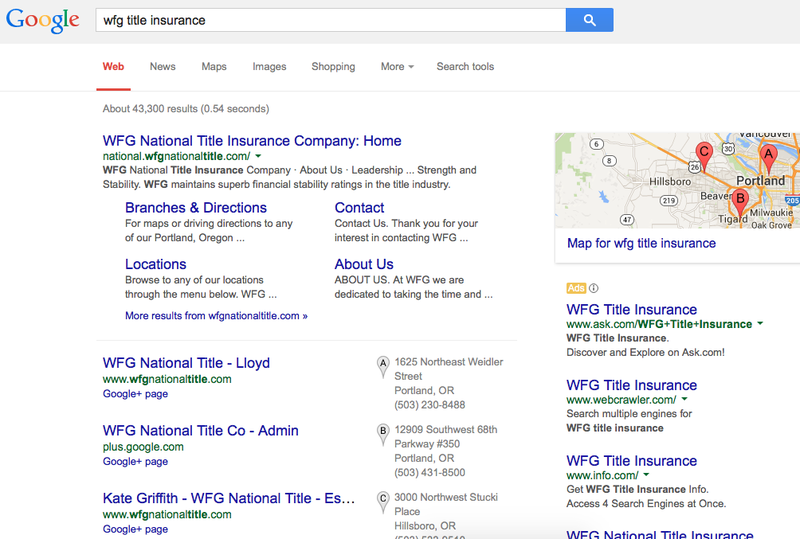 Plaintiff, based in Portland, Oregon, is suing Defendant, a competing insurance company, over the use of Plaintiff’s trademarks by Defendant in Google AdWords advertising. While several courts around the country have ruled on the issue of whether the purchase and use of a competitor’s trademark in keyword advertising is trademark infringement, these cases remain very fact-specific. For those unfamiliar with keyword advertising, one party pays Google to appear in the “Ads” box at the top of or adjacent to the search results for specific search terms. Big companies hate this practice and small competitors love it. Google really loves it, because advertising is where Google gets a big chunk of their revenue.